No1. 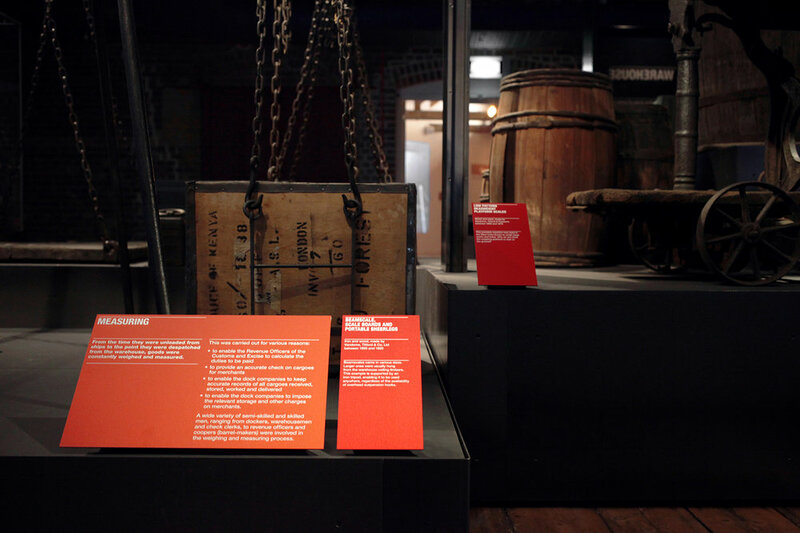 Warehouse is a permanent gallery housed within the Museum of London Dockland grade one listed building. 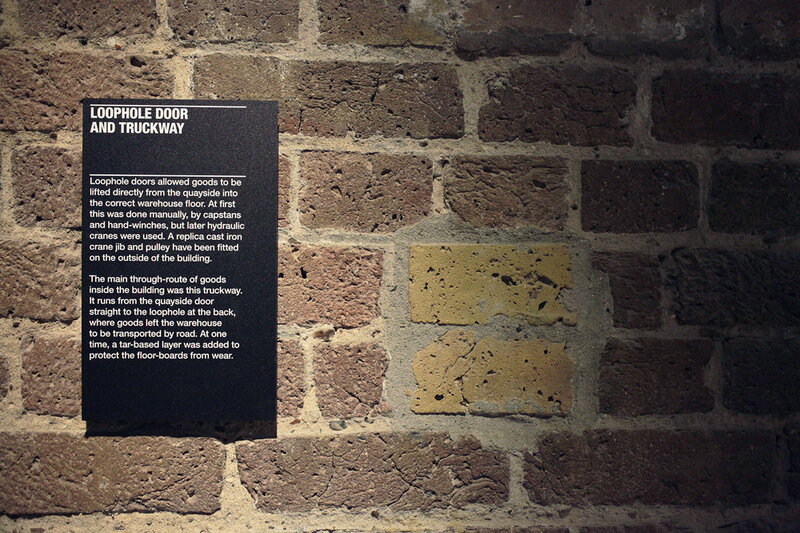 Our design approach echoes the graphic and raw materiality of old signage previously found in warehouses. Industrial elements such as black steel and glass are combined with bold colours to rouse this beautiful space.